Even though most patients have braces for about 18-24 months, every patient’s care is different. Orthodontic treatment for one patient may be extensive, while another patient will have a very short and simple experience with braces. Find out how Dr. Hardy plans out your orthodontic treatment and how that treatment will look with different braces appliances. Countless millions of people will require orthodontic treatment in order to fix bite and alignment problems. They also get braces to fix crooked teeth and to reduce problems with tooth decay and gum disease. Over 4 million Americans a year receive orthodontic treatment via braces. Many of those people are teens, but about 1/4th are children and about 1/4th are adults. Studies show that many people see braces as a luxury and even go without many needs and wants in order to have them. This is not only for aesthetic appeal, but also for health reasons. Countless studies prove that orthodontic treatment can help make a person more confident. When your smile is beautiful, you will smile more. Smiling will help you feel happier and more confident, and you will actually start to appear that way to others. Studies also show that people with straighter smiles as viewed as healthier, wealthier, more attractive, and more trustworthy. If all of those qualities appeal to you, consider receiving orthodontic treatment. If you have oral health problems as well, you may actually need braces to help those problems stop. We perform child orthodontics for many patients. Development in children is vitally important in the younger years before age 10. Children lose their baby teeth around ages 7 and 8. They immediately start to have their permanent, adult teeth come into the mouth. This is a time when we can examine a child’s bite and alignment to make sure the adult teeth will come in correctly. Some children don’t have enough room in their mouth to have their adult teeth grow in or they grow in crooked. This can lead to significant problems with speech impediments. If the teeth are crooked, this can place uneven pressure all over the mouth, leading to broken, cracked and chipped permanent teeth. Crooked teeth also lead to pockets of plaque that toothbrushes and floss can’t get to. This leads to decay problems. Straightening the teeth with orthodontic treatment can not only fix bite and alignment issues, but can straighten the teeth in childhood, so they come in correctly as a child grows. 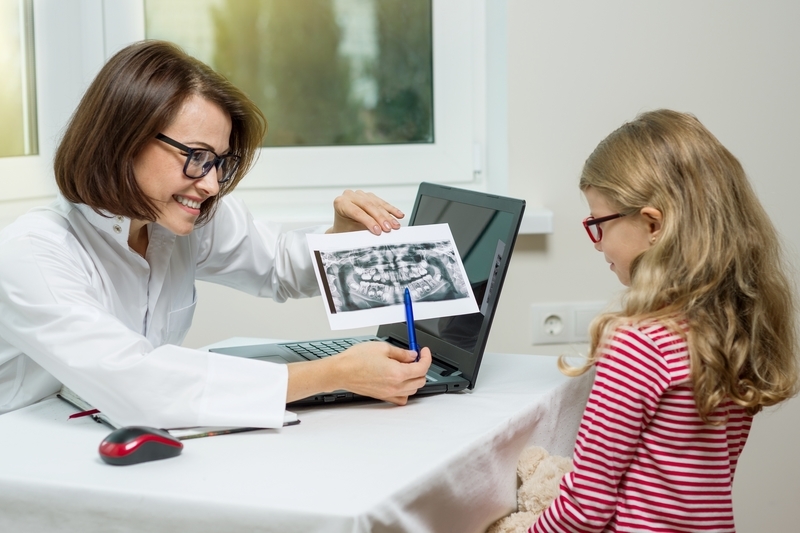 For children, we take x-rays of their teeth to detect bite and alignment issues. 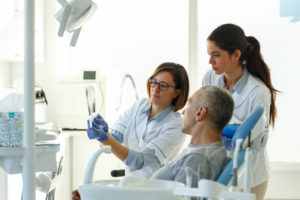 We show our patients problem areas in their x-rays and suggest orthodontic appliances to best realign the bite and alignment of the jaws. For children, teens and adults, the teeth will be straightened to avoid serious dental problems. We offer 3 types of either metal or ceramic options to patients for their orthodontic treatment including metal braces, lingual braces and ceramic braces. All consist of a bracket-and-wire design, but all are different. Depending on your preferences, you can choose to have either metal or ceramic brackets and wires on your upper and lower teeth. Or, you can choose to have metal lingual braces, which are metal braces placed on the backs of your teeth. Once you choose your orthodontic appliance, we take impression molds of your teeth. Those molds will harden and we will use them to plan out a trajectory of your orthodontic care. Based off of how crooked the teeth are and what appliance you choose, we will break down your orthodontic treatment into a series of months and will see you every 4-6 weeks to tighten wires on your teeth in order to move the teeth during that timeline. When you get your braces, you will also get all the information you need about your chosen braces appliance and what timeline you can expect for your straightening. In decades past, traditional metal braces were the only option given to patients. In modern times, many teens and adults are opting for more and more discreet straightening options. The most invisible method for receiving orthodontic treatment is through Invisalign transparent aligners. 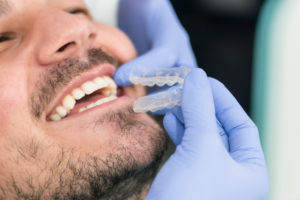 Invisalign is a fairly modern orthodontic treatment where the teeth are straightened with transparent aligners instead of the traditional metal wires and brackets. Invisalign teen and Invisalign for adults are both comprised of custom-made aligners that a patient changes every week. We digitally design Invisalign aligners based off of digital impressions of a patient’s teeth. Using this initial impression, we can digitally map out a patient’s orthodontic treatment. This is beneficial to teens and adults alike. They can visually see how their teeth will change over the months and how the end result will be. Plus, no goopy putty required! The hard Invisalign aligners efficiently place pressure on the teeth and slowly move them into place over time. 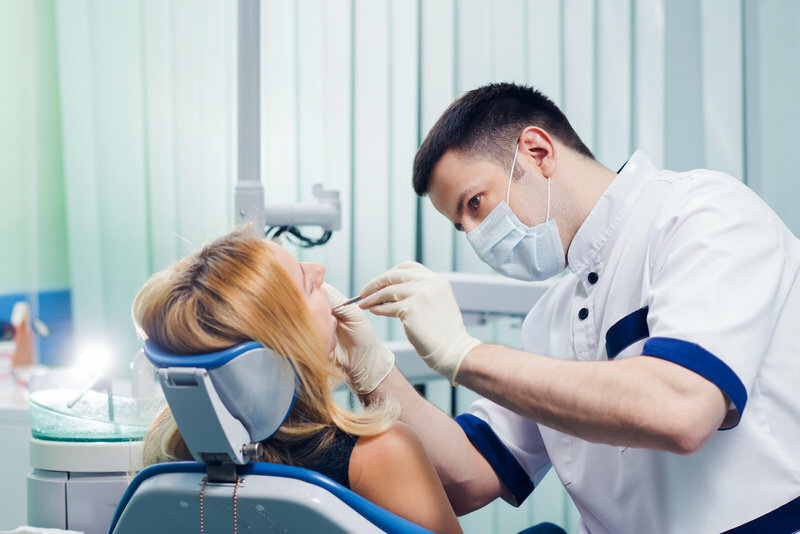 Instead of tightening brackets and wires at orthodontic appointments, patients receive new aligners and have their teeth examined to see if they are on course with their treatment. This treatment option lasts about as long as traditional metal braces, but can be shorter for many patients. If you are considering getting orthodontic treatment, don’t wait! A straighter smile has incredible benefits for children, teens and adults alike. Straighter smiles bring more confidence to people, and others will see that confidence. To learn about what orthodontic treatment option is right for you and to get started on your customized plan, call Belmar Orthodontics today at (303) 225-9016!